The freedom of information online has spearheaded revolutions in retail, marketing, politics, and (perhaps most dramatically) entertainment. The transformation of all these fields has been rapidly paced and disruptive to traditional institutions which had grown comfortable in the way that things were done. Finally, the wave of change has now reached the world of higher education, and the way that people study and think about learning will never be the same. Many Americans like to boast that they live in the greatest country in the world. The fact is that the performance of our schools, both secondary schools and our post-secondary institutions, sit around the middle of the pack when compared to other nations. Intense public debate surrounds who or what is to blame. One thing is clear: we have to change if our graduates are going to compete in an increasingly globalized world economy. Online education is poised to disrupt the status quo and fill the need that traditional institutions are slow to fill as they adapt to the new digital landscape of accredited online schools and course offerings. Teachers have long hoped that online education would be the magic bullet that would help jumpstart student achievement, reduce costs, and help prepare graduates for our increasingly information-driven economy. To meet the growing demand for flexible course offerings, online universities have seen a significant rise in popularity. 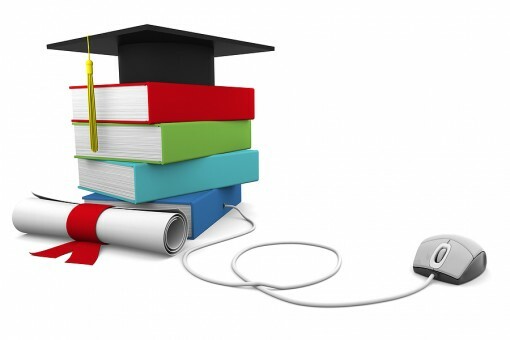 The advantages of online educations stem largely from the ways that online courses can leverage newly emerging technology and the aptitude of an increasingly connected student population. Bite-sized, on-demand course materials are available anywhere students have Internet access. There are often lectures if students want them, but the videos, interactive quizzes, and other online resources are available anytime, from anywhere. Never has learning been able to adapt to student schedules so fluidly, instead of the other way around. You can catch up when you miss something during a video; it’s not so easy when the lecture is in real-time, and there is no recording of the principles being taught. Online course materials can be updated and distributed instantaneously, unlike regular textbooks, which are expensive and quickly become out of date. Another possibility is the dissolution of the physical classroom. Teachers can connect with students wherever they are; no more commuting to work and to school, saving money on transportation and reserving what used to be travel time for studying, homework and life in general. It’s hard to overstate how huge that is for working students and so called “non-traditional” students, who make up a larger portion than ever of those attending college. This world classroom effect also means that you can get a master’s online in whatever focus the college is offering. Students are not limited to the programs that are available at local colleges and universities anymore. The newest crops of high school grads and returning students from all age groups are more comfortable with consuming information online. This shift is not insignificant. It signals an aptitude observed in the public at large for handling the software and hardware that is required to access online classes. That, combined with the fact that user interface design and software reliability really have reached a new level, makes these systems more user-friendly as compared to just four or five years ago. Technology has passed a threshold for workability, and the students are ready and eager to take advantage of the convenience it offers. The next decade will be revolutionary for education, and online learning is the future, for both online universities and traditional colleges. The evolving technology that underpins this revolution will quickly make its way, not just into college degree programs, but elementary and secondary education as well. All that remains is for educators and students to refine how these systems work and show the world at large that online education is indeed the future for us all. Jennifer Cook writes about higher education, technology and student life for Strayer University. When she isn’t speculating on the future of learning, you can find her rifling through discount bookstore shelves.